All supporters and members of diverse partnerships! We have been preparing projects for 2014, exhibitions, teaching, workshops ! 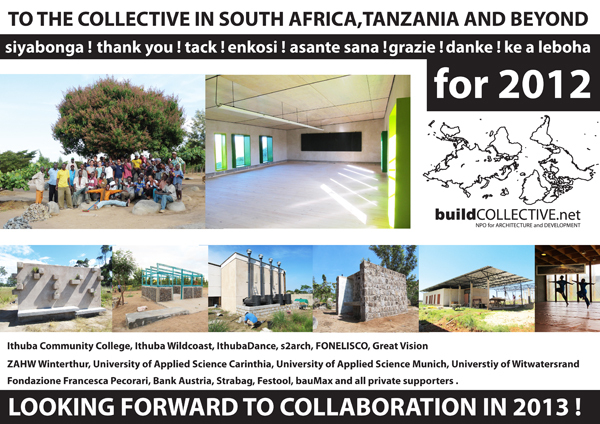 Fondazione Pecorari, s2arch, Bank Austria, design.develope.build, Orangefarm e.V., Great Vision, FH Kärnten, FH Munich, University of the Witwatersrand, ZAHW, park(ing)Day Johannesburg, Ithuba Dance, Birgit Werner and all private Donors ! 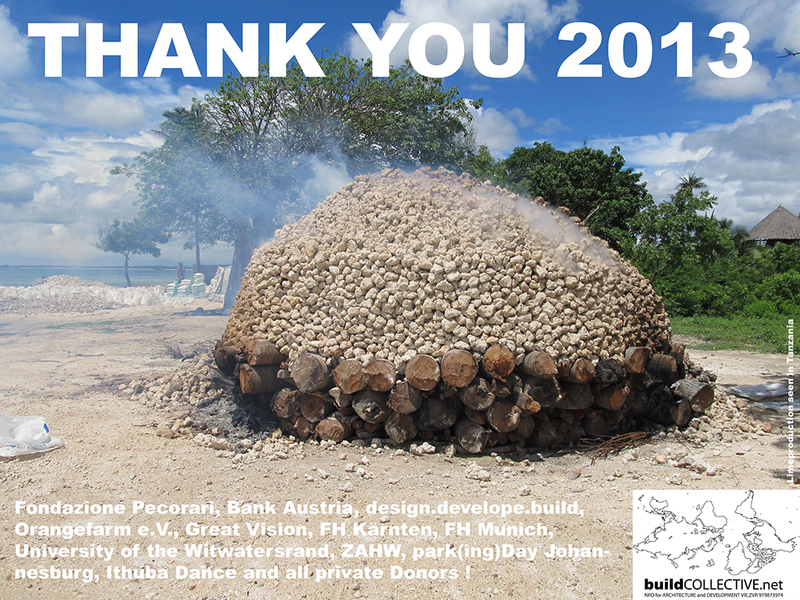 Thank you for 2011 !